Atlanta rapper Future‘s big year started following the release of his smash record “Move That Dope” and the continued campaign for his sophomore effort Honest that saw the LP debuting at No. 2 on the Billboard charts and followed with a successful tour. For the later part of the year, Future saw his fair share of guest appearances, connecting him with artist like Rico Love, Nick Cannon, Young Jeezy, Mike WiLL Made It and many others. The campaign for his new mixtape started two months ago after releasing the mixtape’s title track “Monster” which followed with the announcement of the project a month later. Now that we’re a month into the fourth quarter, Future looks to cap off his superb year with another well received project today, with the release of his mixtape Monster, executive produced by Metro Boomin. 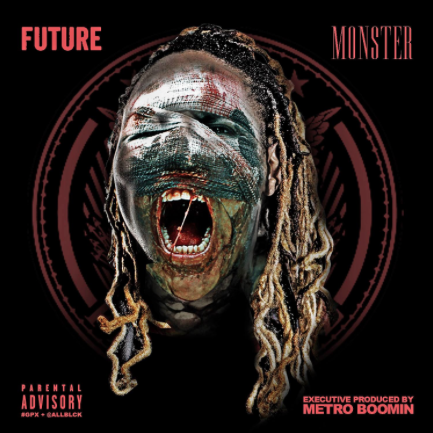 Future’s new mixtape comes highlighted with the singles “Monster“, “Break The Rules” and the newly released “Hardly.” Monster only boasts one feature and it comes from Lil Wayne, while production on the tape is handled by Metro Boomin, DJ Spinz, Dun Deal, Southside, Will-A-Fool and many others to provide some hard-hitting sounds to hold us over into the new year. Is this the mixtape that’s going to put Super Future back atop the Atlanta music scene? Let us know in comment section below. Stream and download MONSTER below.